InstaShow is a premium WordPress plugin that allows you to integrate the Instagram feed on your website. It has registered 6000+ sales on the ThemeForest marketplace. It is a highly customizable plugin that has a rating of 4.87/5. InstaShow is cheap and it provides amazing features. If you own a photography, product review website or a food blog, you can get more Instagram followers by installing this plugin. The Instagram widget provided by InstaShow is a great alternative to a gallery or featured image widget because it saves server resources. Instead of uploading pictures on your server, you can share your images on Instagram and configure InstaShow to display the pictures in a nice interface. To generate a beautiful Instagram feed for your website, you must link your Instagram account with InstaShow. To do so, open the Instagram developer portal and choose the register your application option. Now, login to your Instagram account and generate your client ID and a secret key. To do so, enter your website name and email address. Copy the generated Client ID and open the plugin settings page. Now, paste the client ID and click on the Submit/Ok button. Once your site is connected with Instagram, you’ll see ” You’ve successfully connected to Instagram” message. InstaShow is easy to use WP plugin. Its setting page boasts a tabbed UI. Each tab has a different option. You can navigate across tabs without saving the settings because InstaShow saves your customizations automatically. InstaShow enables you to show pictures from specific profile or location on your website. To display the photos, all you to have to do is select the location or specify the user’s name. For example, if I want InstaShow to show pictures shared by the handle @pramod, I’ll add @pramod in the username field. 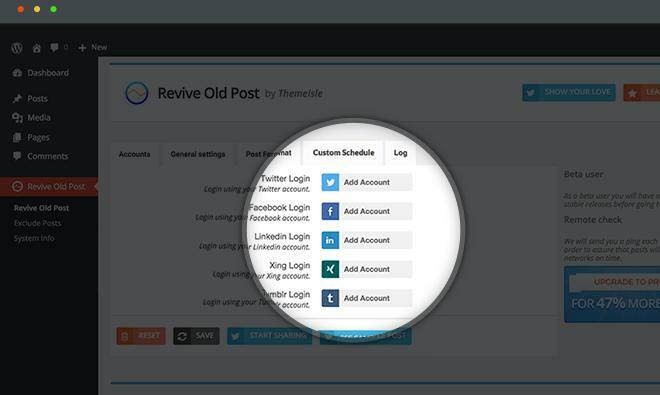 The plugin lets users filter the feed results by the post URL. It supports translation to 16 languages. Hence, if you own a non-English blog, you can use this plugin to show Instagram pictures in a feed. Instagram is a large site that doesn’t have any photo uploading restrictions. It allows you to upload high as well as low-resolution images. No matter what the image size is, if the user is browsing Instagram from a PC or mobile phone connected to a slow network connection, the photos can take time to load in the browser. Instead of displaying each picture shared by a user, IFP lets you set the number of photos you want the plugin to display at a time. When you set this limit, you can enable pagination system to allow users load more pictures. IFP displays square shape images in the feed. When the user clicks on the image, the original picture will be displayed in the beautiful popup box. The plugin displays pictures in a nice interface. You can change the width, height, columns, rows, gutter space of this interface. The gallery is responsive and has a stunning design. IFP provides 13+ customization options for the gallery module. It also offers 10 color schemes. InstaShow enables you to change the navigation, animation, popup speed, etc. As the Instagram galleries generated by IFP are responsive, you can add them to anywhere on your site. To do so, you can use the shortcode generator tool of the Instagram Feed Plugin. If you’re using Visual Composer page builder on your site, you can embed galleries or Instagram Feeds in the Visual Composer elements. Updating the Instagram Feed Plugin is easy. IFP employs Ajax technology to update files in real-time. Photos are static resources of a website. To make sure that they aren’t sent from your server every time for the repeat visitors, you can set an expiry time for the images. The browser reads the expiry time and it will save the image on the local storage memory for the time duration you’ve set. InstaShow is a cheap WP plugin. You can buy it from Code Canyon (ThemeForest marketplace) for within 16 to 19 USD. Conclusion: InstaShow offers more features and customization options than the free Instagram plugins available in the WordPress repository. It is a great plugin to add Instagram feed/widget on a website.